New Year’s goals don’t have to be just about weight loss or saving money. 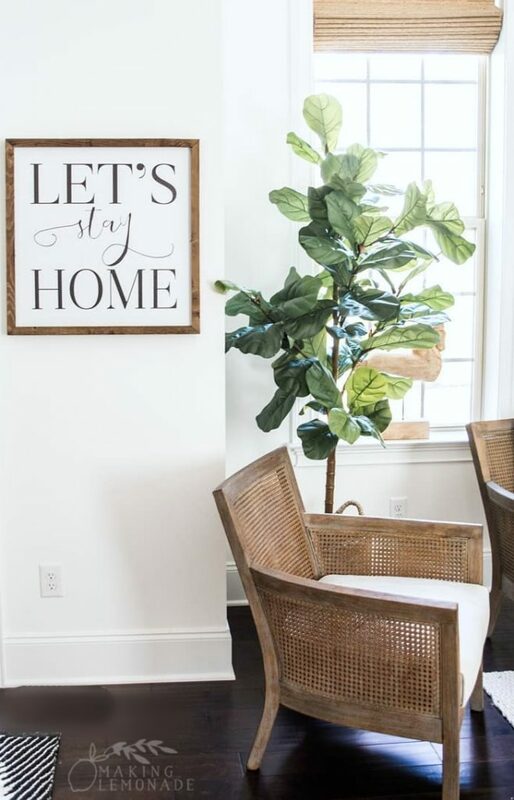 Your home wants to live it’s best life too! 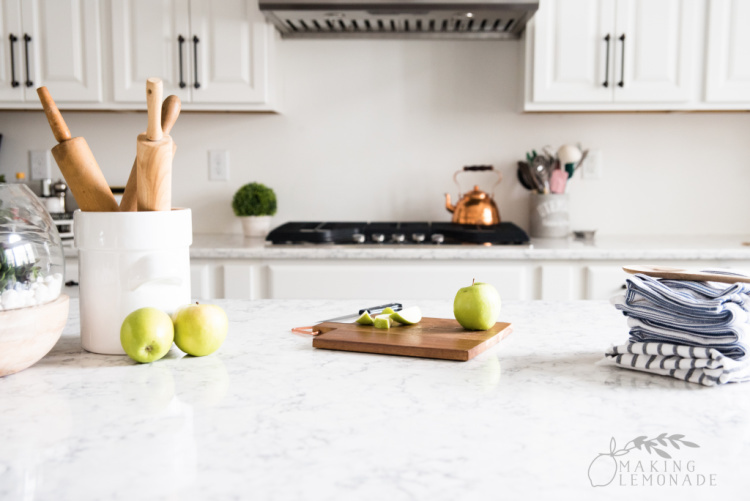 After reflecting on our home progress last year earlier this week, I’m sharing our lofty home improvement goals for 2019– and there’s lots (too much?) in store as we continue to decorate and finish our new construction home. 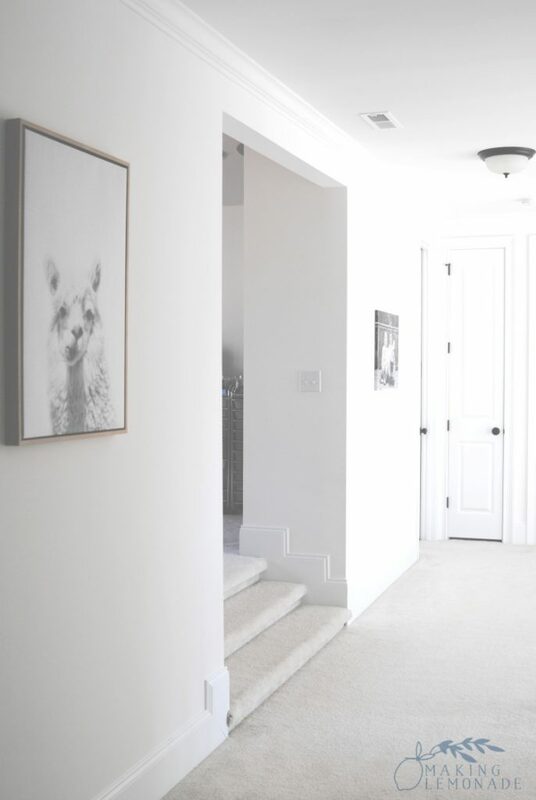 For a look back at our new construction house journey, here’s how we maximized our budget when designing our new home and our very first ‘home tour’ before we moved in so you can see the design center choices in all their (naked) glory. This year, my goal is to continue to create a happy, beautiful, and organized environment to bring us joy by eliminating clutter and having solid systems in place for daily tasks to save time and frustration. In other words, I want to our home to function better for our family. 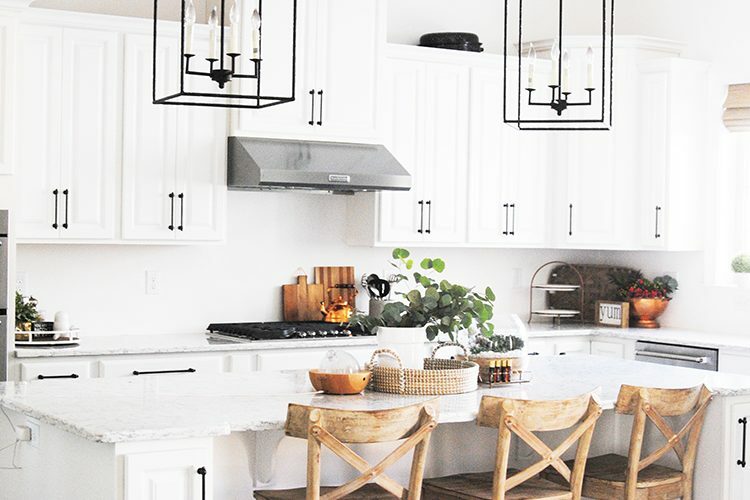 No piles of clutter, no paper window blinds, no more builder’s grade light fixtures. It’s time to finish what we started! My three words this year are joy, organize and finish. 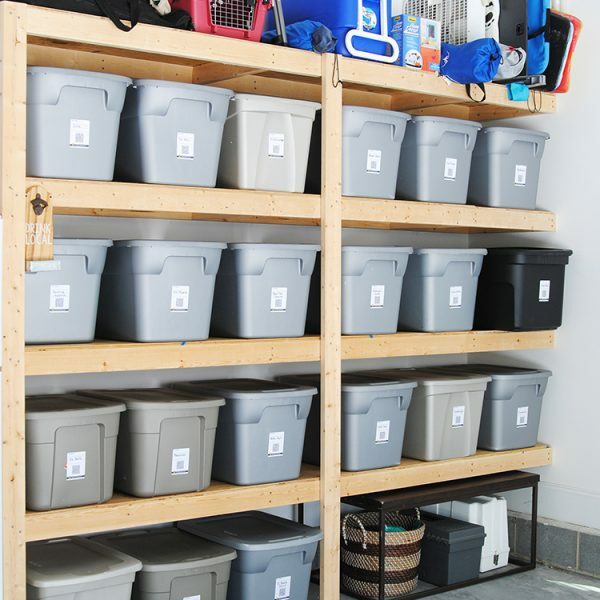 Goal #1: Finish decluttering the house. I started the process of decluttering our home before we moved from Pennsylvania using our KonMari checklist and I was like Marie Kondo on speed because I attempted to declutter our entire home in under 4 months. While I got much accomplished, the tight timeline and being single-handedly in charge of alllll the packing/ house selling/ house buying/ moving/ moving again details made it tough. In other words, this is the year for me to go back and thoroughly declutter the rest. Plus, our lives and home have shifted so much that there will be new things to find that don’t ‘spark joy’ any more. AND, I never finished the last step of the process which is organizing photos and mementos so that’s going to be a huge project to take on. In fact, you can see our stash of photos peeking out from under the guest bed. OOOOPS! While this was on our list last year, the screened porch addition ended up taking most of our time and attention. 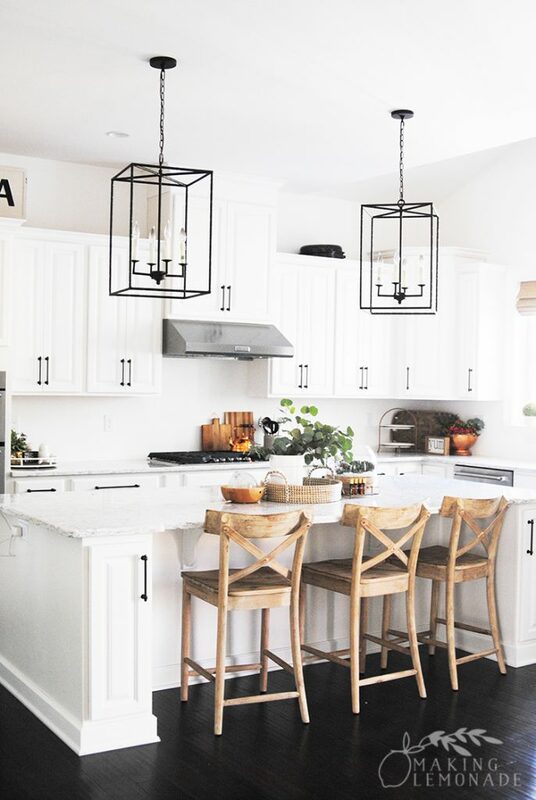 This year, adding a kitchen backsplash is at the very top of our list, two years is wayyyyy too long to be without one when there’s so many gorgeous tile options out there! Goal #3: Add finishing touches to the deck and porch. As soon as temperatures warm a little, we’re adding outdoor curtains to the porch to block the view of our neighbors. That way we can enjoy being outside while still having privacy. I’m also on the hunt for a new outdoor sectional (I have this one in mind because of the gorgeous gray color and glowing reviews, but I do wonder if it’s too matchy-matchy for this space) and outdoor dining table. Last but not least, we want to hang globe lights using this hack on our attached deck to add ambiance to the entire space. 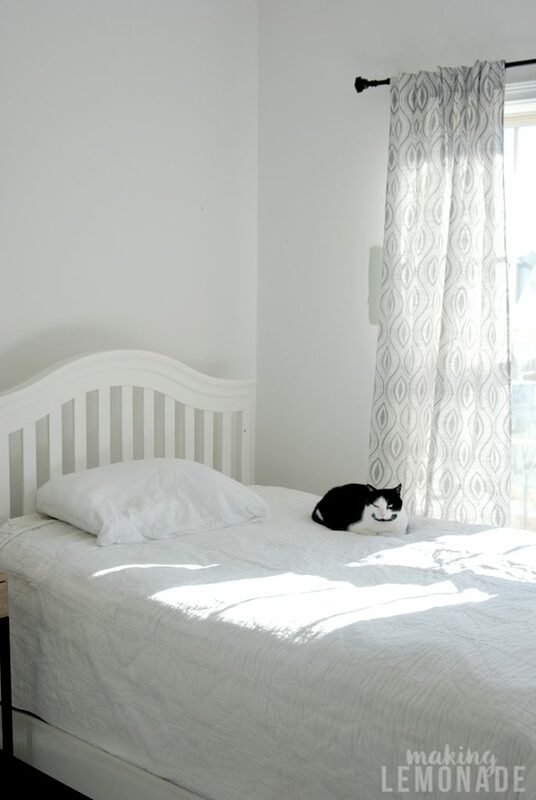 Goal #4: Decorate the master bedroom. Our master bedroom is cobbled together with random furniture right now, but in my head I have a vision of billowy white curtains, natural seagrass blinds, a bold patterned wallpaper in a neutral colorway, art, and so much more. My goal is to create a space that’s both calming, special and stylish as a retreat from the world. 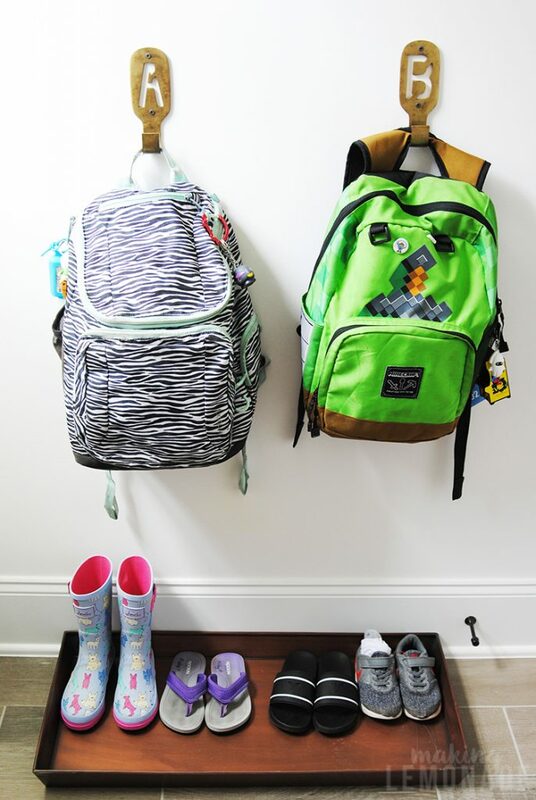 Goal #5: Decorate the Kids’ rooms. These rooms are alllllmost there. We need a few more tweaks like painting the walls and some new curtains or blinds– my kids have been so amazing through our move and all the change over the past few years and it’s in my heart to finally finish decorating their rooms the way they want them, not how I want them. The struggle is real. Goal #6: Finish the playroom & add sliding doors. It’s tough to see in this photo, but the playroom doorway on the left is wide so I’m sketching out some modern sliding doors that will fit that opening; I think that’s the best solution for adding a door to this space especially since you’ll be able to see it from the entryway below. 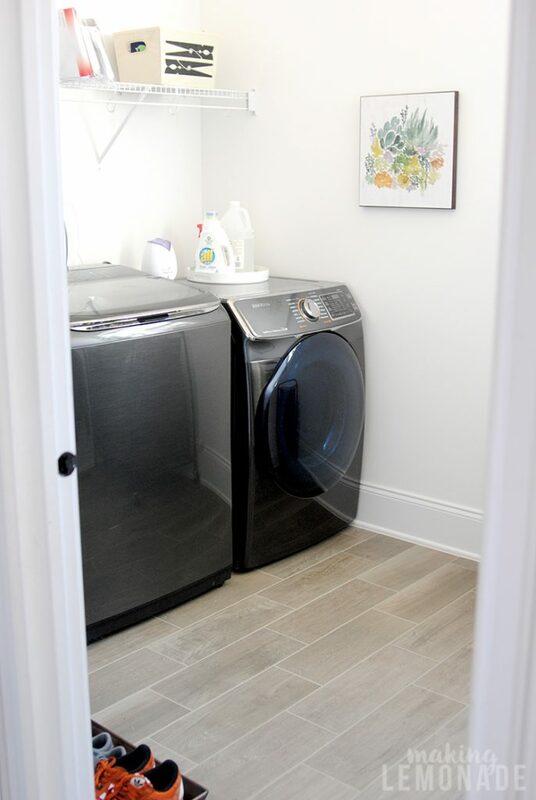 Goal #7: Rework the laundry room/ mudroom. This is one space that ended up being much smaller than I imagined when we picked out our floor plan, but I can’t complain because our last house had the washer/dryer in the basement and zero mudrooms. However, squeezing both in here the way we have it isn’t functioning efficiently right now, so I have a plan for a built-in laundry sorter and better storage for bookbags, jackets and shoes. 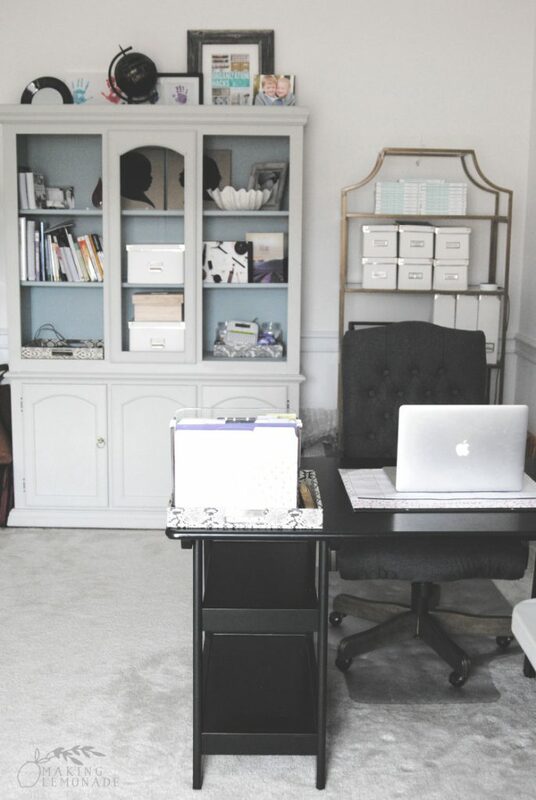 Goal #8: Renovate my home office. Last year’s big addition was the porch, and this year I plan for it to be my home office. 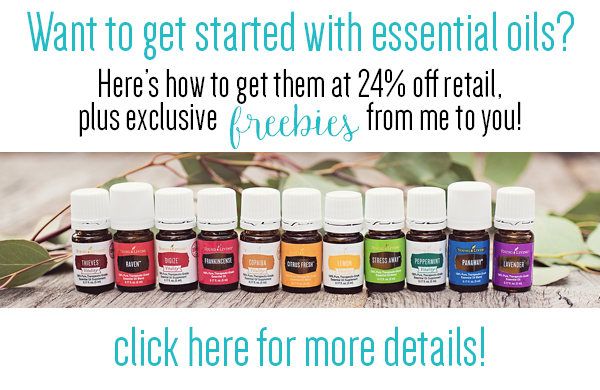 Currently my office has no built-in storage space or closets, and as a blogger and someone with an essential oils business with a team of over 700 people I desperately need a place to store everything. My goal is to create a wall of built-ins behind my desk to store all my DIY project supplies, photography/lighting equipment, mailing supplies, Make & Take materials, and office necessities. While this photo doesn’t reflect it, my home office is generously sized. I have two of those gold bookcases (only one is shown below), a large project table, and big window that I use for natural light photography. Of course, the day I went to snap photos it was dark and cloudy outside so this is the best I can get for now, I’ll share the rest when I tackle this project in the summer/fall. I’d also like to rip out the carpet and install hardwoods with a beautiful rug to soften the space; after only two years, this carpet is a bit trashed thanks to an active cat and some run-ins with my coffee mug. 🙂 I already have the light fixture and curtains ready to do, so it’s a matter of pulling it all together along with some paint on the walls and designing this room to be a happy and efficient space for working, photographing, meeting with my team, and even co-working with my kids alongside me. Plus some dreamy built-ins too. 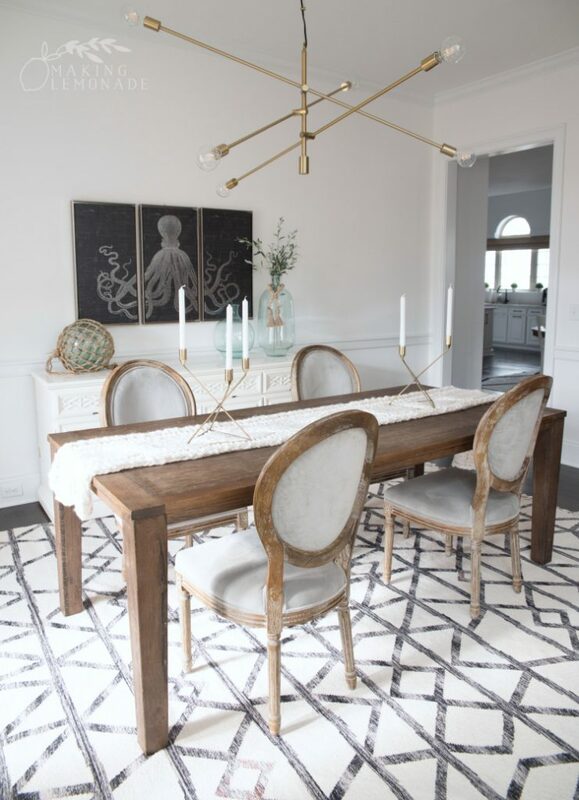 Goal 9: Finish the dining room. We’re in the home stretch! I want to install some nice moulding / trim work, update the art and get it painted but other than that, it’s almost there. 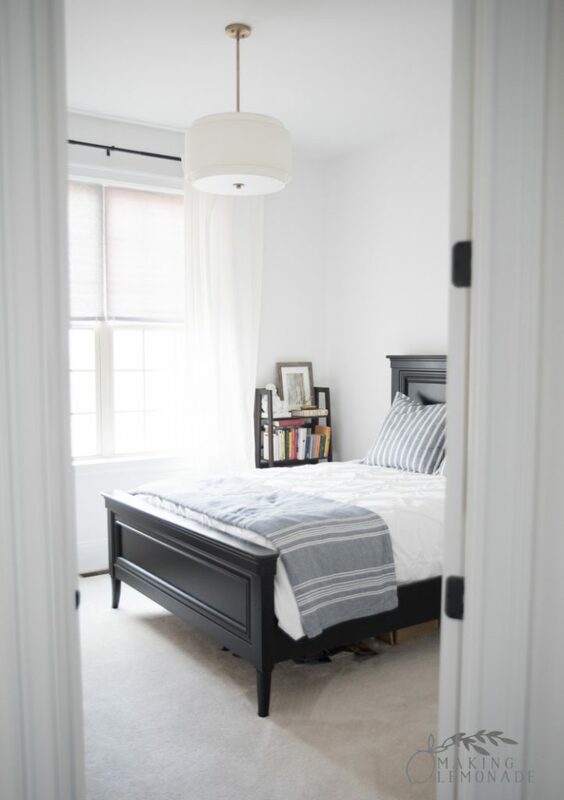 Goal 10: Finish the guest room. The guest room is currently functional now that we’ve installed curtains and a light fixture. Now I want to make it pretty. Side tables, a chair for sitting while you put on shoes or reading, side table lamps, a mirror, art, and decluttering the books are top on my list. Also adding paint, just like every other space in this house! It’s funny how it lines up, isn’t it? Pretty much every project on our list fits our goals words– they all fall under the category of either finish, organize, and/or joy. 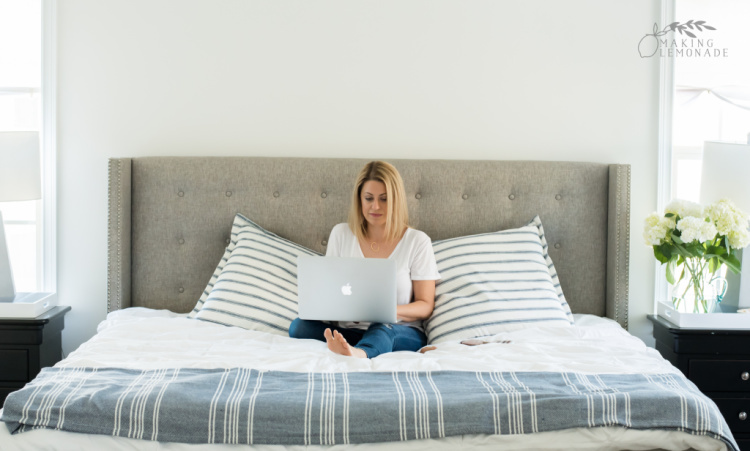 While I’m an over-dreamer, I feel most of our 2019 home goals can happen with proper planning and getting those action steps knocked off the list. I’m still amazed at how much we accomplished last year in getting our ‘big goals’ completed— most notably our favorite part of our home, the new porch. I’m hoping this year brings that ‘ahhhhhh’ feeling to the majority of our home– the ‘ahhhhhh’ of being finished with most of the decorating and organizing projects! 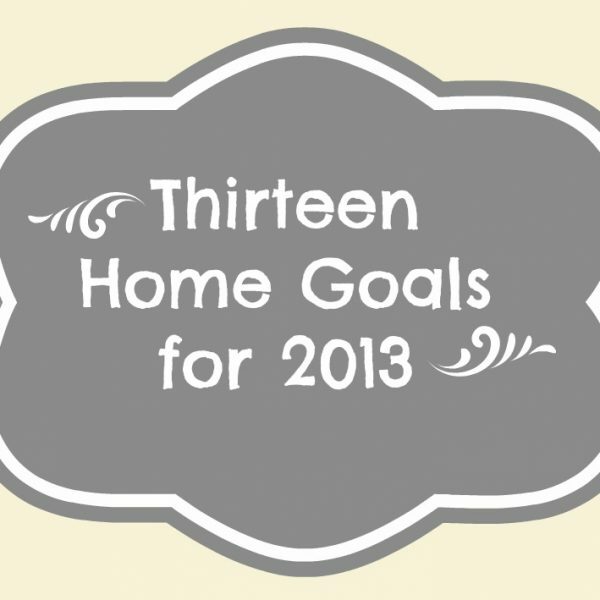 What’s on your home goals list for the year? 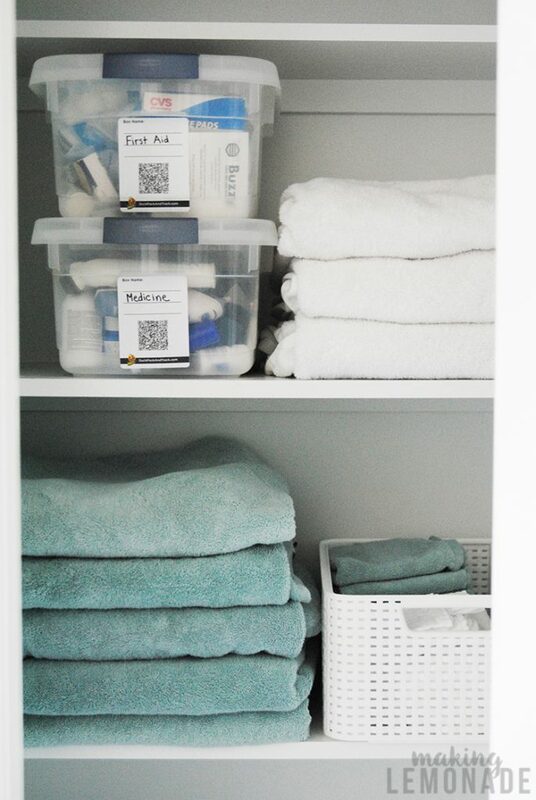 Any projects or organization needs that you’re about to tackle? I really want to get a kitchen refresh with a new backsplash and granite counters too. That is top of my makeover list for 2019! I love all of your home goal ideas. I agree decluttering your home is really important to make it look spacious, organized and clean. It is also a good way to remove things that you no longer need and earn little money by selling. Great blog by the way. Thanks for sharing!